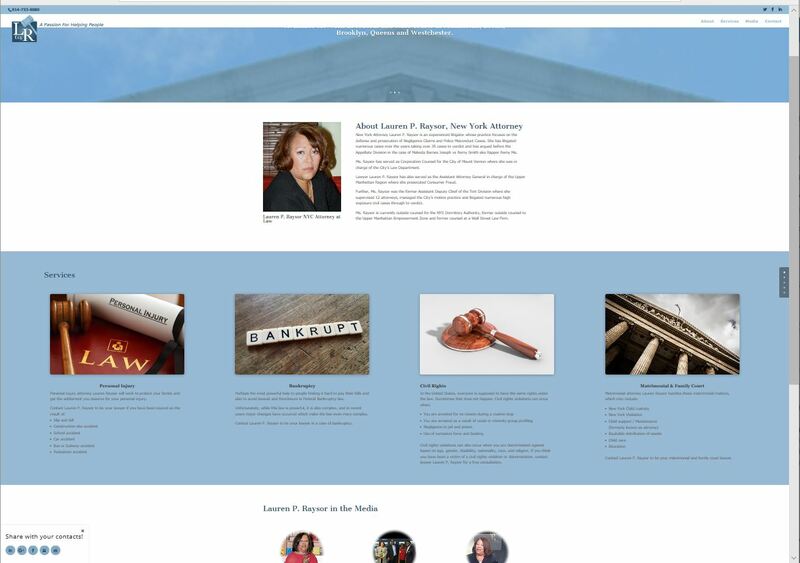 Our New York attorney client wanted a simple website to give her an online presence of her new business and location. The client also wanted to integrate all her social media profiles including her blog talk radio with the website. In the next few weeks we may also maintain the website and handle the social media depending on what the client decides.